Acucraft has been designing and manufacturing outdoor gas fire products to meet specific requests of customers for several years. The demand has continued to increase over that time. 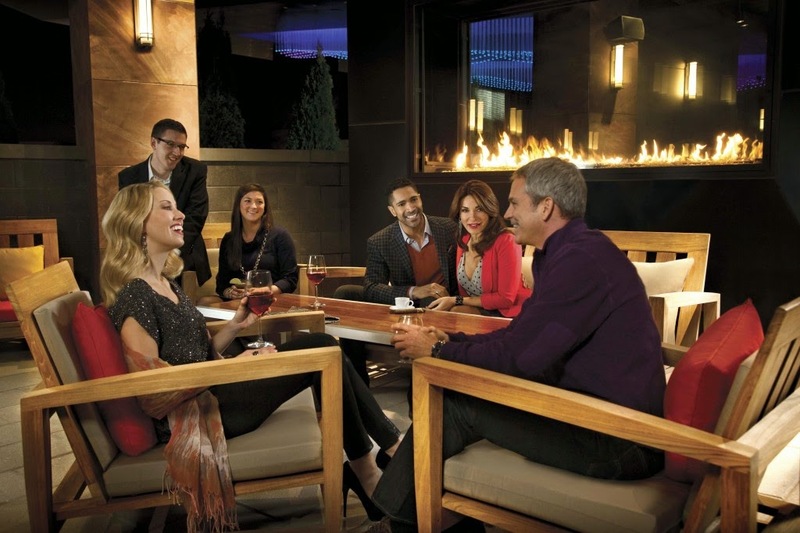 In fact, the outdoor fire industry is the fastest growing sector within the entire hearth industry. From custom gas, propane, and wood outdoor fireplaces to fire pits and burners, if you can dream it we can build it! 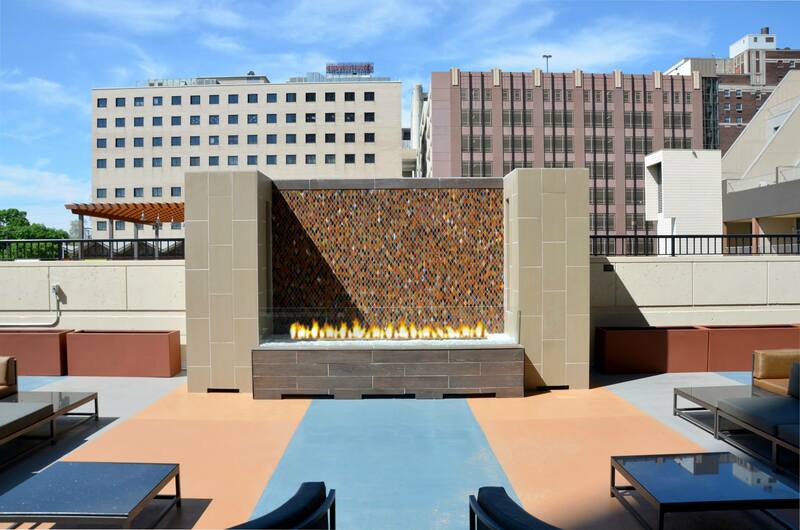 This custom gas see through outdoor fireplace was custom designed for Maryland Live! Casino in Hanover, MD for The Prime Rib® Restaurant. 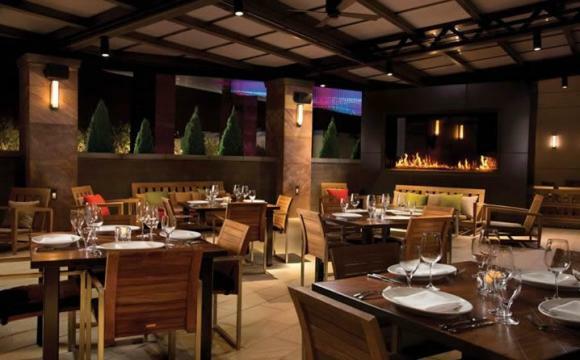 The Casino’s designers (Cleo Design) and architects (Klai Juba Architecture) custom designed this fireplace to add to the overall experience in the casino and steakhouse. 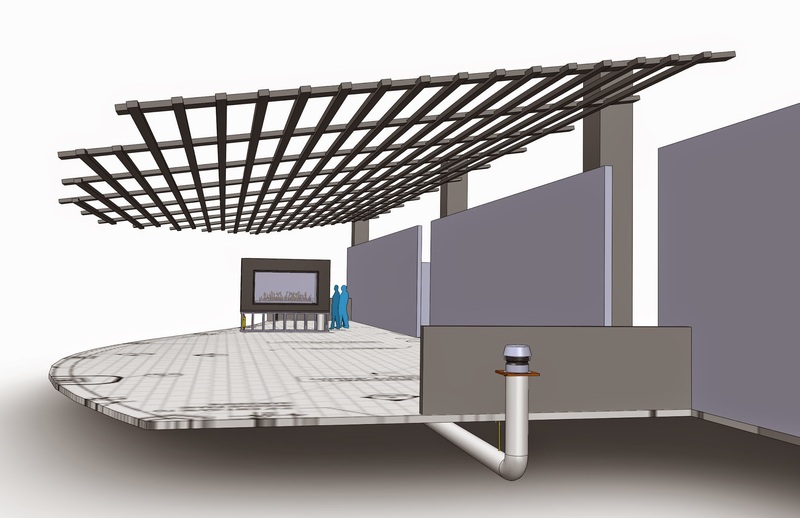 Our Fireplace Designers created 3D drawings and renderings to present to the client fulfilling all of their needs and providing them with a showstopping custom gas see through outdoor fireplace! Mission Construction came to us looking for an outdoor fire feature for Kellogg Square Apartment’s new outdoor patio. This custom linear outdoor gas fire pit fit perfectly with their design aesthetic and creates an inviting common area for the residents. This beautiful linear custom gas outdoor burner was designed to enhance a residential outdoor space while maintaining unobstructed views of the nature surrounding the home. Every Acucraft Outdoor Custom Gas Fire Solution comes complete with our All Weather Electronic Ignition System which ensures operation in rain, wind, and snow allowing you to enjoy your outdoor space (and fire feature!) all year-round. In addition to our AWEIS all of the components are made with commercial grade stainless steel to maintain the integrity of our product. 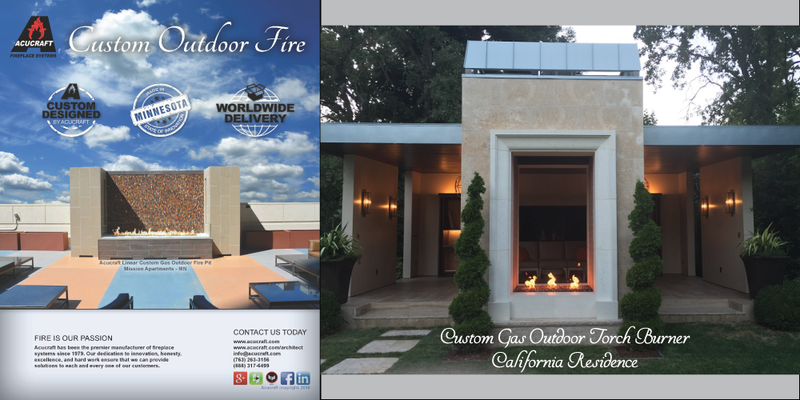 Get started on your dream fireplace project today by requesting a copy of our new Custom Outdoor Fire brochure!